WM THERMOFORMING MACHINES, based in Stabio (Switzerland) begin the manufacture of its thermoforming machines in 1995 operating in close cooperation with Customers, mould makers and raw material suppliers. The experienced and highly qualified technical team is continuously engaged in developing new process improvements and tailor-made solutions to meet the special requirements of each Customer. The results of the specific knowledge acquired in the thermoforming processing technology and the continuous research and testing, are present on the market with up to date thermoforming machines with the latest generation of equipment and devices which can satisfy every need of packaging industry. Vacuum and pressure thermoforming machines with steel rule cutting (FC Series), indicated for contract moulder customers who have to satisfy both the medium-high productivity than the flexible production. In mould trimming thermoforming machines with lower tilting platen (FT series), suitable for high quality products with medium-long productions with a wide range of automatic stacking devices according to final product. All these types of machines are available in a very wide range of forming areas. Showpiece of the production are the IN-LINE plants, real production islands including sheet extrusion, thermoforming, direct recycling of the scraps, until the final product packaging. 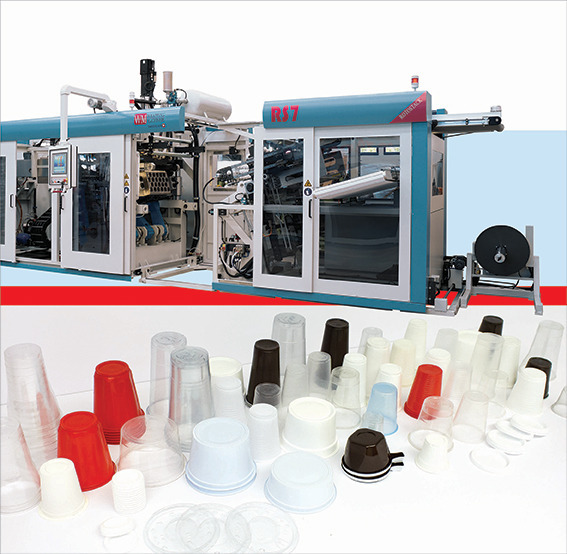 The most efficient system to produce disposable cups, plates, margarine tubs and yogurt containers. The FIELDS OF APPLICATION of WM machinery and plants are various, as well as the type of raw materials processed. This is a key point very appreciated from all our Customers who can find an immediate professional feedback from our team of professionals. 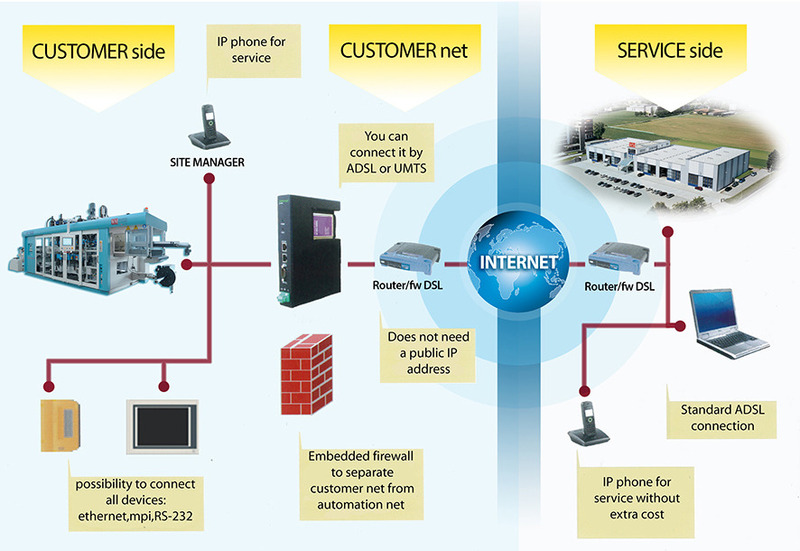 The very close cooperation with our customers is essential to ensure success and the best results. WM THERMOFORMING MACHINES, can also offer dedicated Customer training courses in its headquarters in Stabio to bring up to date and prepare Customer’s staff for the best use of the machines and devices. Now WM THERMOFORMING MACHINES, can be indicated, worldwide, among the major producers of thermoforming machineries, both for the recognized quality of its products and for the advanced technological standards in the equipment it makes. WM THERMOFORMING MACHINES, is present globally through a diffused sales organization. 7 Area Managers are in charge of taking care and maintain continuous relationships with customers, realized by many different initiatives, one above all is the quarterly Newsletter addressed to over 600 WM machinery users. than 100 complete IN-LINE plants.